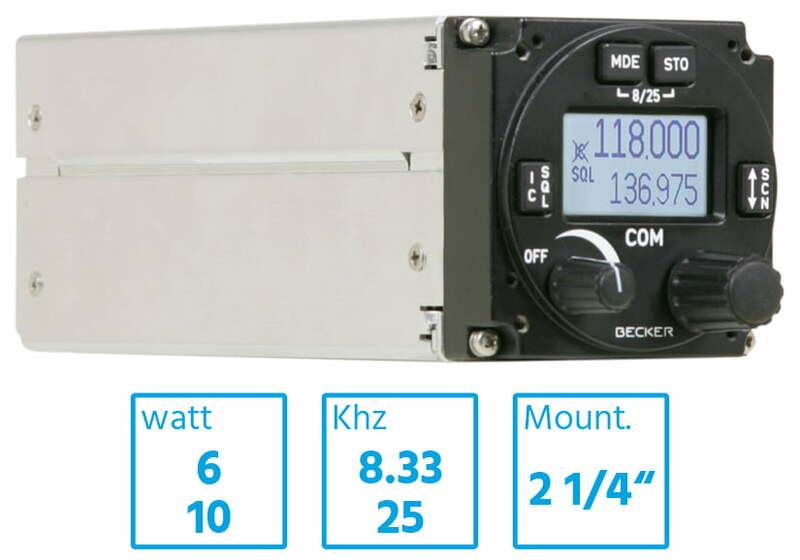 Since 1956, Becker has pioneered products for the light and sport aviation with light-weight and compact radios, transponders and navigation systems. This innovative spirit inspired entire generations of pilots and created a legacy of undisputed reliability over more than six decades. 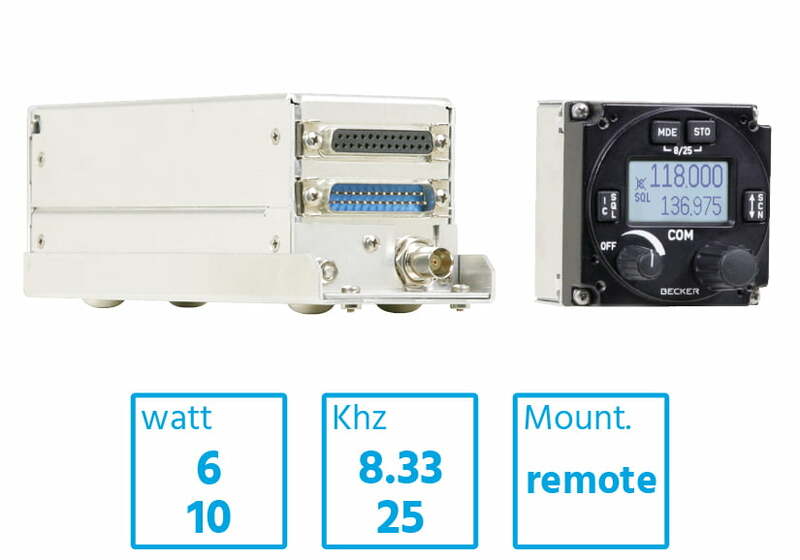 Available in remote or panel mount versions, our VHF radios comply with the latest applicable EASA and FAA certification standards and 8.33 kHz channel spacing requirements, with the legendary Becker premium quality and compact design. Radio failure in flight is not an option for us. Becker was the first avionics manufacturer to introduce the 2 ¼“ format that fits into the typical round GA instrument panel spaces. 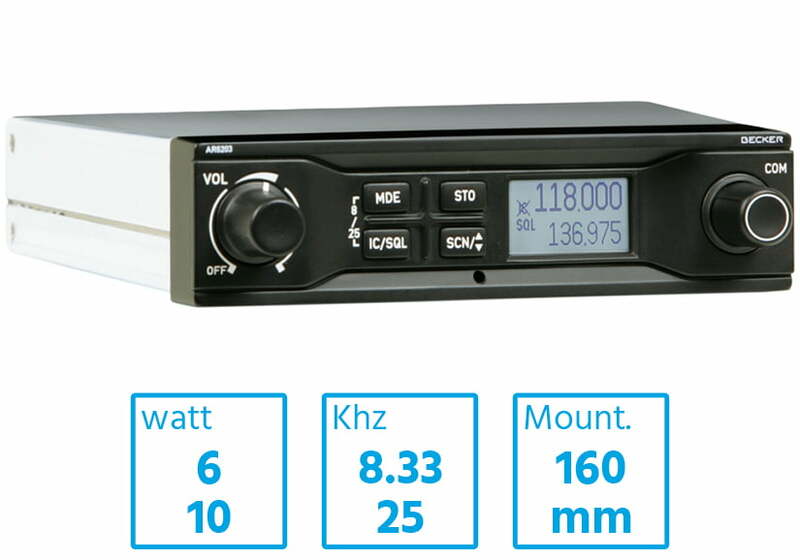 We were also one of the frontrunners in the European 8.33 kHz channel spacing changeover. When you buy Becker for your light certificated, experimental, helicopter or glider aircraft, you will get a product crafted with the same care as those flying on an Airbus H145 mission helicopter or a C-130 transport aircraft. Same people, same philosophy. We work hard every day to keep your systems reliable and flight safe.